Delicious and quick snack. . . Perfect for a cocktail party! Add a cooling and delicious Curd Dip as side dish or accompaniment to any meal or snack. The curd is whipped till creamy and thick and then spiced up with mustard powder and chopped vegetables. An easy recipe to prepare schezuan sauce at tarladalal.com.The schezuan sauce may be used in salads as dressings or used in stir fry dishes or even pasta and noodle recipes..
A quick starter recipe made with iron filled palak mixed in various herbs and spices. Tasty and nutritious. 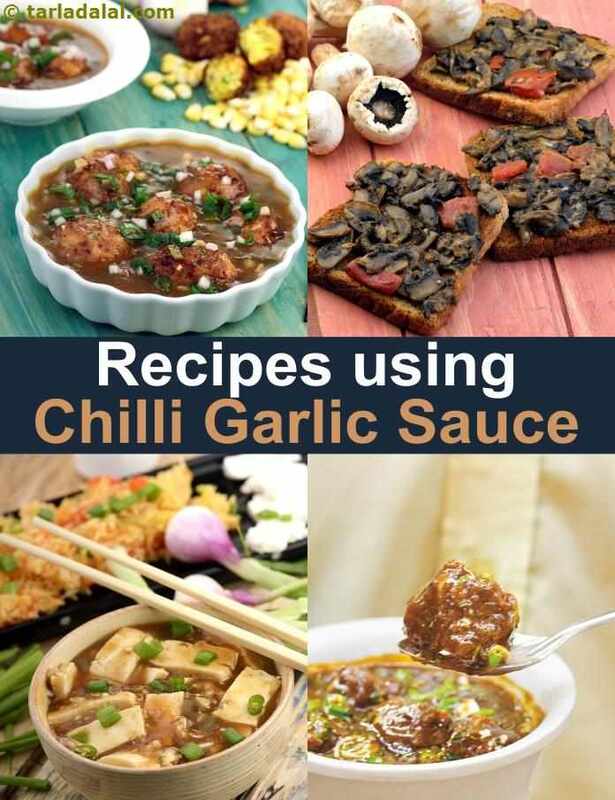 Tarla Dalal Hi Saurabh, we are glad you liked our collection of recipes using chilli-garlic sauce.